Please share your experiences with zFrontier here. You were like a smooth drink. Location: Shenzhen, China or Washington, D.C.
More boards and keysets pls! Will iQunix X87 be available on your international website? I love you guys. Every experience has been perfect. I appreciate the communication you guys are sending out on the wrist rests. They were behind schedule and then you rejected a lot of them for quality issues. I’m glad to know these details. Also, I liked the kits you had for the DSA starry night. Just came on to say, Zfrontier is the best keyset vendor I have ever purchased from. 4 purchases in and it's been smooth sailing in all aspects of the process of group buys and purchasing. You guys have made the keyset world a whole lot better with good prices and fast production & delivery. You will definitely always have earned a spot on my showcase shelves. I wish you would mail items in boxes, not bags. GMK sets get damage to the cardboard sleeve when shipped in a bag. I'd pay a little extra. Agree with ^ Aside from just throwing a layer of bubble wrap and tossing it into a bag, I am very satisfied with all the GMK sets I have bought from zFrontier. The other recommendation I'd like to state is sometimes the international zFrontier has items that aren't available on the English zFrontier site. For example, I saw GMK Pristine on there before it hit the English site, and I still see left over GMK Corsa Autos that can't be purchased on the English site. Yes! A new group buy of iQunix X87 will be available on our English site pretty soon. Thanks for the feedback! We will work with DHL and have better packaging with future GMK shipments. Thanks for the recommendation! Yes, sometimes a new GB comes on the English site 1 day later than on Chinese site. We will try to keep it on time next time. For GMK Corsa Autos, it has been delayed because the group buy leader has modified the "purple" color a bit after receiving the samples from GMK. And there will be a few extra sets available once it is in-stock. We will send out notification emails and make a post here. nice to see so much positive feedback. I know personally I find feedback as a customer very helpful. I know I will be trying to order some caps off Z-Frontier in the near future! I been wanting to give them a try there prices are pretty reasonable. Got the PoW via DHL, damn that shipping was fast (3 days). Ironically the packages sitted more time in my city than in the whole travel from China to Italy. Everything nice, zF you rule! My GMK Griseann set was shipped promptly and arrived very quickly, packaging was well done and the keyset looks great! Would definitely buy from you guys again! 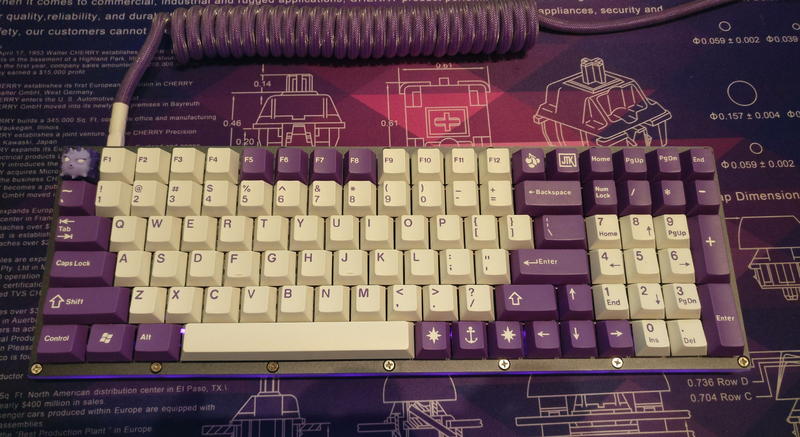 Very happy with my purchase - I ordered on the afternoon of the 13th of this month (3 days before the Lunar New Year), and the JTK OOB keycaps I ordered arrived in Singapore not more than 10 hours later. There was a minor problem with DHL which delayed the delivery to me by a day, but I received my keycaps on the 15th (instead of on the 14th as expected). Still, delivery was very fast, and taking into account the fact that this was with the "free shipping" option (having spent 109USD), I couldn't have asked for more. Keycaps came well packaged, and there weren't any damaged or missing keycaps. Have a Happy New Year, zFrontier! With my latest order from zFrontier, have been waiting almost a week and an item labelled "in stock" still has yet to ship. E-mails to the support e-mail provided on the website have also gone unanswered. When I bought from them previously everything was great and went by without a hitch. Not sure where the problem is originating from, but it is quite frustrating now to be waiting for something, that is in stock, to ship. Same here, I ordered something a few days ago and they did not answer my question at all. Ordered my ALF X2 last year during the group buy and I have not received any notification for shipping till now. Delivery should have been on April. I contacted customer support multiple times now because I have to cancel my order for the HB85 groupbuy but still got no answer at all. Looks like they're not zFrontier. Truthfully most groupbuys all sales are final. I am not sure if it holds true for Zfrontier are not but just heads up. Will JTK Hyperfuse GB be available on https://en.zfrontier.com/? I originally liked your company, but after delay after delay on the Starry Night caps, and no updates for 6 weeks, it's disappointing. Your last post on Oct 23rd said an updates Nov ship dates, but we got no new news since. I just saw the thread on here after joining, but wonder why you don't email the buyers or update your project page like Alex said you would. I understand that Keycreative messed up the colors, then the space bar, but would appreciate updates on sold but undelivered merch, more than new offers. is everything ok? website and everything seems to have died since black friday. It works for me. Do you just mean no updates or does the website not function for you? I meant that there were no updates. Nothing has changed on their website since November. A lot of item listings still say expected November shipping date. I've also been unable to contact them by email. Can we please get an update on Starry Night R2? I haven't heard anything in months and zFrontier has not responded to my emails. They have gone from a very reputable vendor to a very poor one in my eyes. Purchased DSA Starry Night last March, original estimated shipping date was May 2018, after several delays their last update said they would be shipping March, 2019. Once again that passed and radio silence from them. Would not recommend joining any group buys from them in the future. Not as severe, but a similar situation with the Grid600. 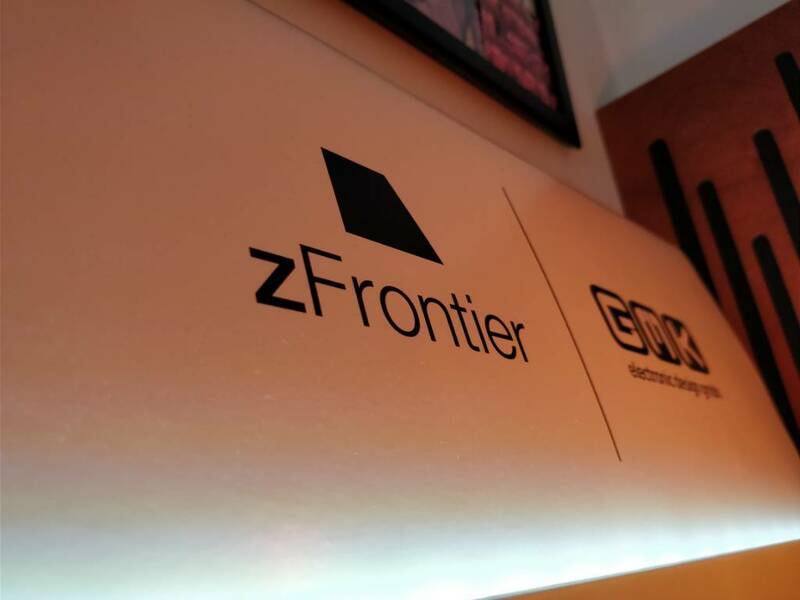 No word from zFrontier, I think there have been two official up dates from them? We blew past the December estimate without a word. I joined GH just to post here. I'm sorry to do this. The Elemento fr87 is a year late. Communication has been garbage, delays keep happening, and emails go unanswered. I've lost all the money i've spent on that, and I will not make the same mistake again. I will never trust Alex Lin or zFrontier ever again, whether its a group buy or anything else. It was my first ever group buy. I've gone through several other group buys since with other places, and all of them have fulfilled. Please don't make my mistake. Stay away from zFrontier, and if you were already tempted to buy something, file your PayPal dispute now rather than wait and give Alex the benefit of the doubt, or like me, you'll be out $400+.